These certificates provide the student an opportunity to gain the skills necessary to find entry-level employment in the grooming, snow-making, and slope maintenance field. 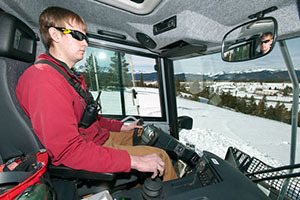 The curriculum includes many of the courses included in the Associate of Applied Science degree in Ski Area Operations and credits may be applied toward that degree. Students must demonstrate acceptable proficiency levels in math, composition, and reading as a prerequisite for courses within this certificate. Students’ proficiency may affect the sequence of classes in which they can enroll and may also extend the time required to complete this program. For more details, please see the Academic Placement and Testing section or contact the Ski Area Operations faculty. Entry into the program requires a physician completed medical form. Graduates of the program will receive a Certificate of Occupational Proficiency in Slopes and Trails Maintenance I or II. Your advisor will help you develop a schedule that meets your needs. 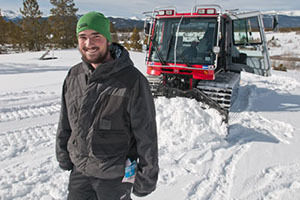 CMC also offers certificates in Ropeway Maintenance Technician and Ski Patrol Operations as well as an Associate of Applied Science degree in Ski Area Operations . The Slopes and Trails Maintenance I certificate must be completed before or concurrently with the Slopes and Trails Maintenance II certificate.